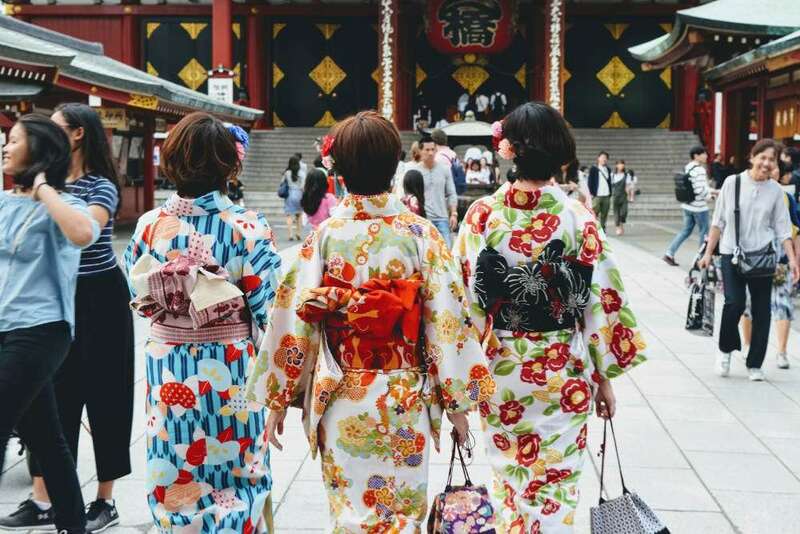 The last week of October, I spent about three days in Tokyo meeting restaurant owners, going to cooking schools and checking out ramen shops. 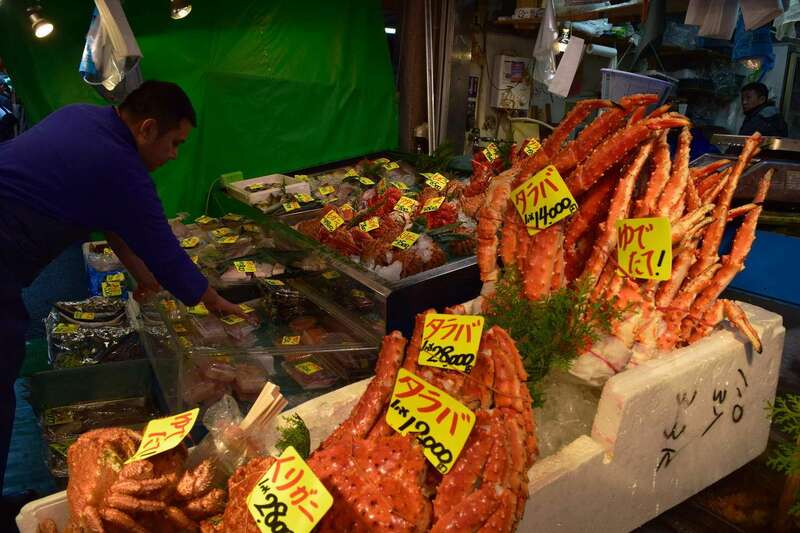 I spent the last day of my trip hanging out at Tsukiji – the world’s largest fish market. The day I visited Tsukiji, it was unusually warm, pleasant and sunny. I found myself relaxed and carefree as I strolled through the market admiring the shops and soaking up the spirit of the market. 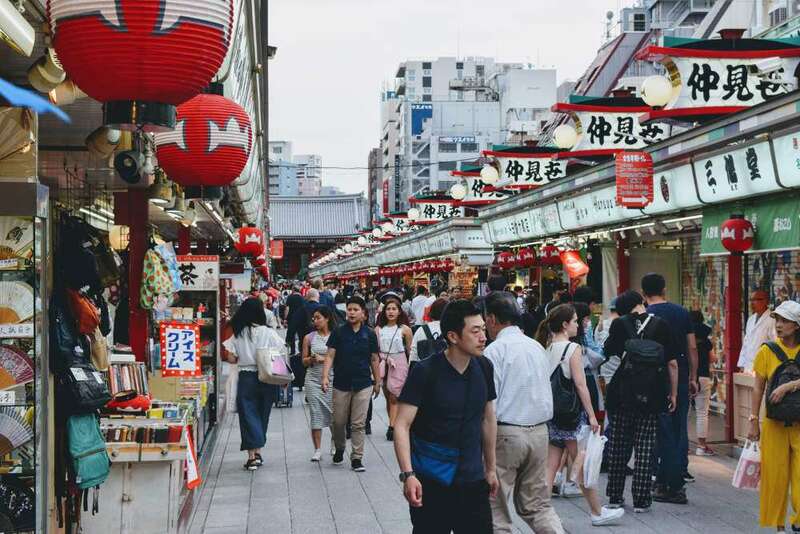 On Monday, Tsukiji was bustling with energy, and everyone was preoccupied with their day’s business and driving their turret trucks at full speed. Tourists are everywhere. 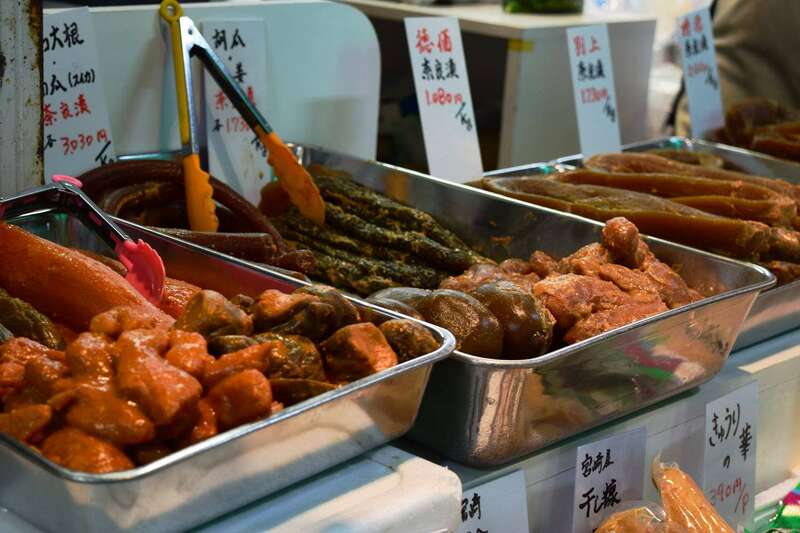 The coolers at food stalls were filled with catches of the season such as snow crab, pike fish, squid, salmon, mackerel and shelves with green tea, seaweed, bonito flakes, miso, pickled vegetables, wasabi roots and much more. 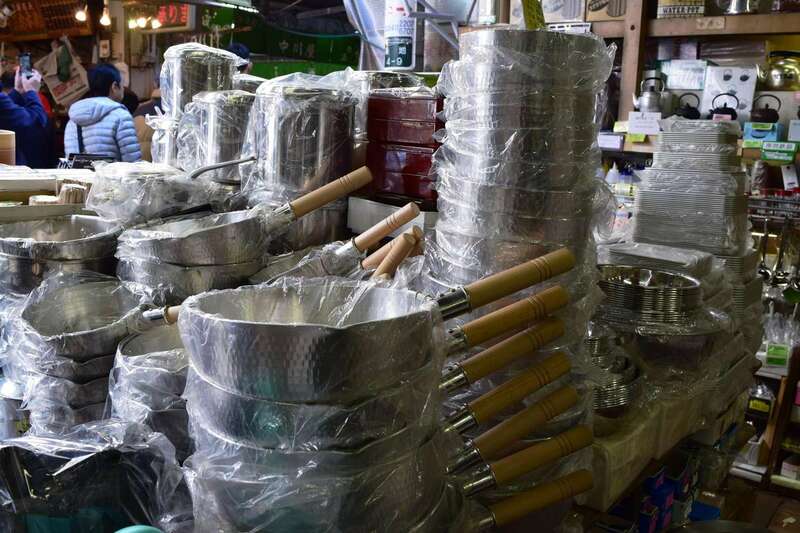 As a matter of a fact, “Food Town” is a word used in Japanese to describe Tsukiji as one can find nearly everything you need for making traditional Japanese food. This is also where world class seafood auctions take place surrounded by a maze of retail shops and all kinds of restaurants. I had a morning meeting with Mr. Noguchi who assisted me with planning a sushi workshop at near by restaurant for our guests during our tour. I was in luck that day as Mr. Noguchi treated me to a private, behind-the-scenes tour of the market. 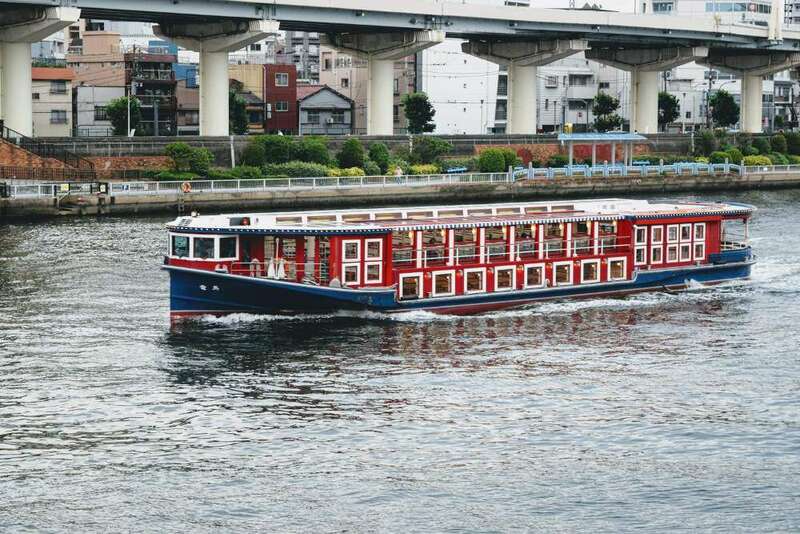 As you might know, due to its years of heavy use and also to make way for the Tokyo Olympics in 2020, Tsukiji’s inner market is moving this summer to Toyosu, a man-made island near by (if you sign up with us for our April and June trips, you might still be able to see the inner market as a group). 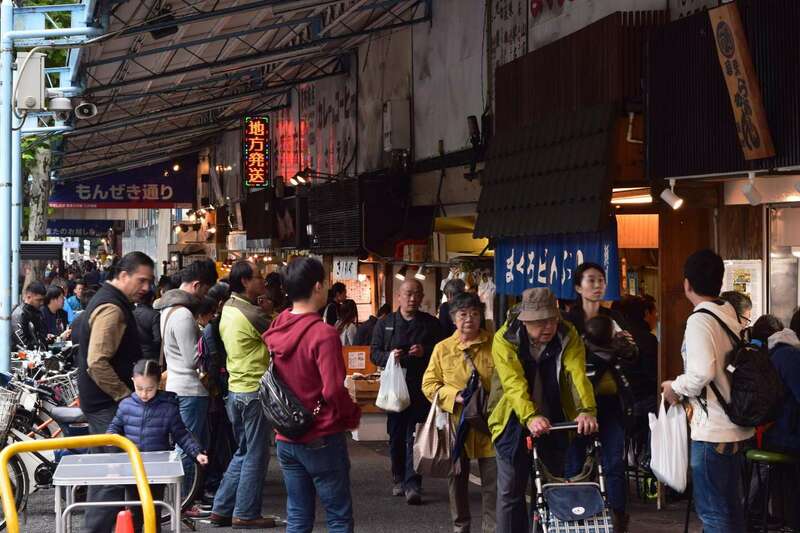 One of the must to do thing at Tsukiji is to shop and eat at one of the many restaurants serving the freshest sushi you can buy. 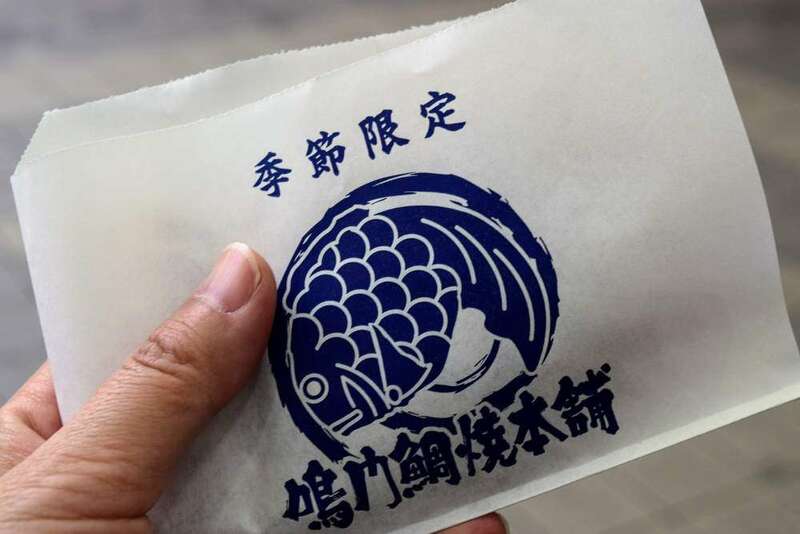 After my meeting with Mr. Noguchi, I squeezed myself into a counter seat at very busy sushi restaurant and indulged on some of my favorites at the market; charred fally tuna, sea urchin, sardine, mackerel and salmon. Hope to see you in Japan.